At #3 it’s Terry Austin penciling and inking his own awesome art for the cover of Uncanny X-Men #143. 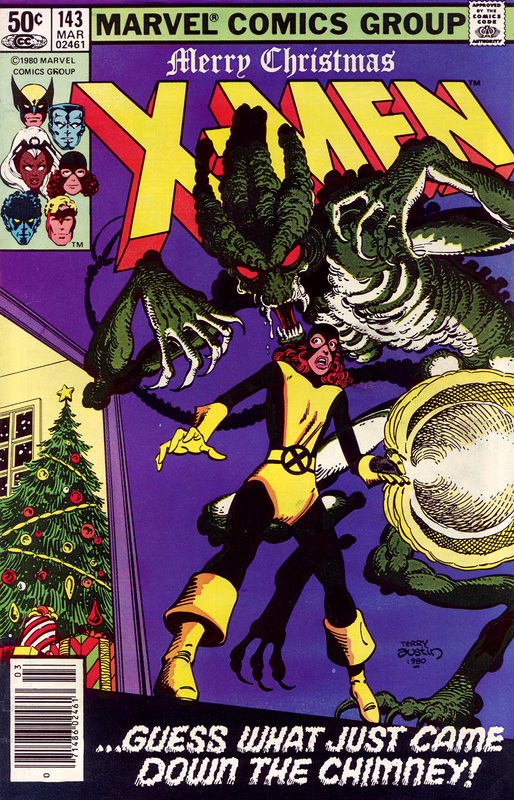 I always loved Kitty Pryde and this cover really grabbed me when I first seen it as a kid and it still holds up really well. From the look on her face, the flashlight glare and of course the HR Giger inspired creature looming behind her it’s a powerful image. It’s a good cover. An even better story. A great one for Byrne to go out on. Heh. Out of the bare handful of comics that I still have from my comic collecting days, this is one of them.